A state panel has been narrowing a list of candidates to be one of only two statues permitted in Statutory Hall at the U.S. Capitol Building. 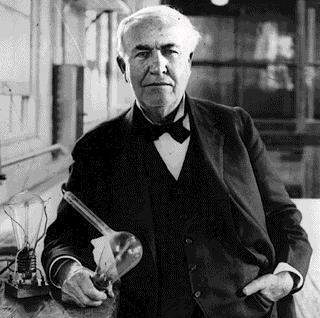 Among the distinquished list, my choice is Thomas Edison. All are great choices but, being practical, Thomas Edison is the most recognizable face and name on the list. His life's work and story remains an inspirational one after more than a century has passed. Ohio has been, and still is, a state of innovators and inventors. None stands out over the years more than Thomas Edison. His statue can dually inspire a next generation and plant a positive, iconic image of Ohio with a large audience. When voting opens, and the Ohio Historical Society will be conducting a vote of some sort, I'll be voting for Edison. Want more info? Here's the Google news links for "Ohio Statue."